Colorado State University June 2019 Intakes. 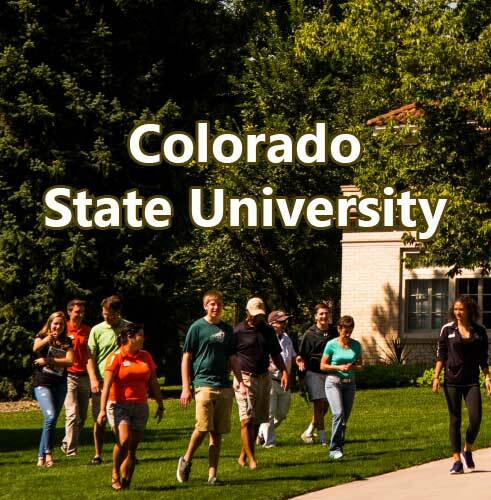 Colorado State University, Fort Collins, Colorado: Program Update!! We are delighted to share some news on developments at Colorado State University, Fort Collins, Colorado. Masters in Finance at Colorado State University receives STEM designation – As of June 1st the Masters in Finance at CSU is officially STEM designated, allowing graduates from the program to apply for the STEM extension on their OPT, and with Denver home to many large financial institutions, student don’t even need to travel far from home to complete their OPT. The Master of Finance within the College of Business is a rigorous, practical program that provides a comprehensive study of the principles, processes, and practices of modern finance including investment analysis, portfolio management, corporate finance, and financial risk management. You’ll leave the program better able to assess and respond to changes in the risk environment and with the confidence to develop effective solutions to meet the needs of an industry. New Graduate Pathway in Computer Science Pathway – Please see attached an updated version of the flyer providing more clarity on how the Graduate Pathway in Computer Science will work for students with either a Computer Science Degree or a Non Computer Science Degree.